Exploring new places, getting to know people who love to sketch, and sharing space with others involved in their own pursuits are highlights of urban sketching. 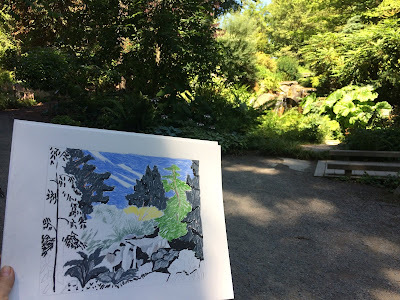 Today, Urban Sketchers met at Bellevue Botanical Garden, a place I have never been. There was no shortage of enthusiastic sketchers, a very hearty group considering the temperature. Covering 36 acres, Bellevue Botanical Garden has gardens, trails and picturesque buildings. Because of the heat, I quickly chose a shady spot in the cool woodlands. 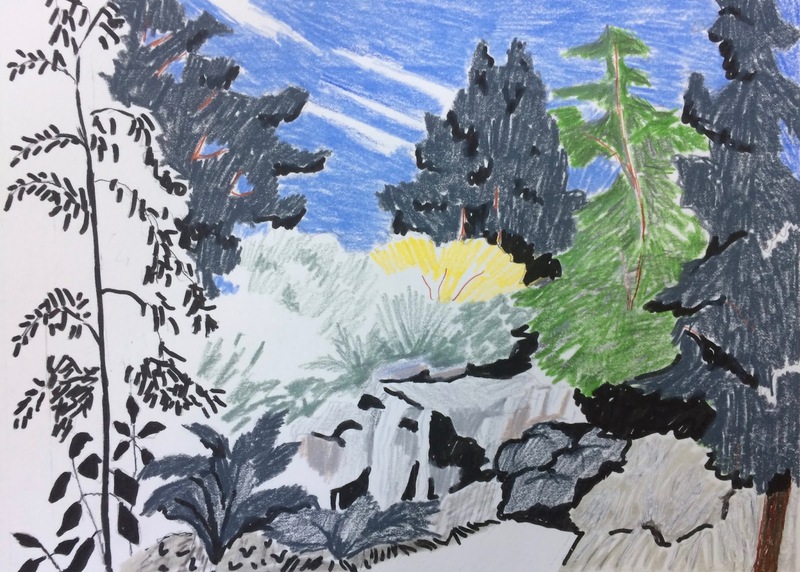 While I sketched, families strolled by enjoying the greenery. A wedding party entered my space for a photo shoot. A high- spirited bridesmaid in platform heels pranced through the woodland mulch and posed agreeably for the photographer. Surprisingly she didn’t sit on the leaf throne. I thought it was pretty special. Across the trail from the leaf throne is a waterfall feature. 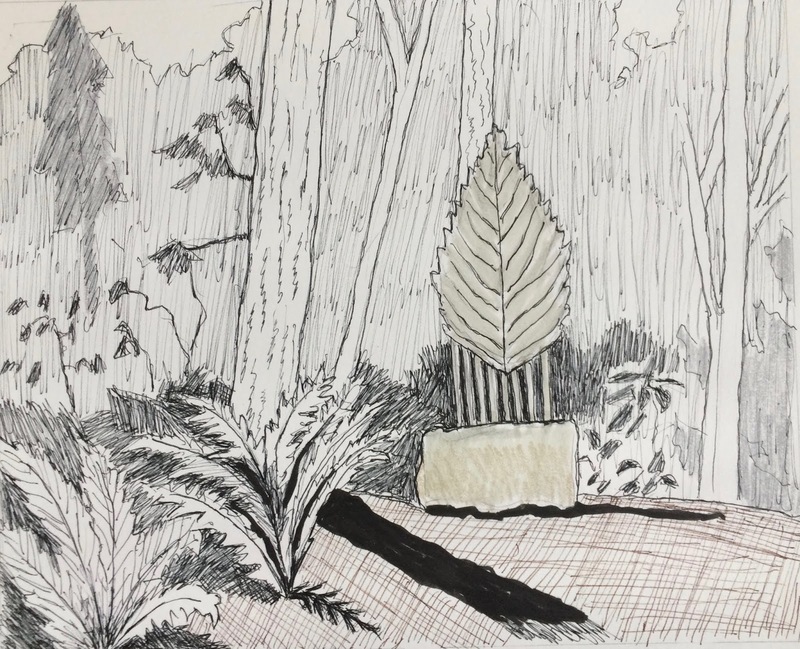 A comfortable garden bench held me and my backpack as I color penciled the light and shadow along the forest canopy. Friendly people walking past made positive comments, “that’s so good”, “wow, that’s great”, always nice to hear!